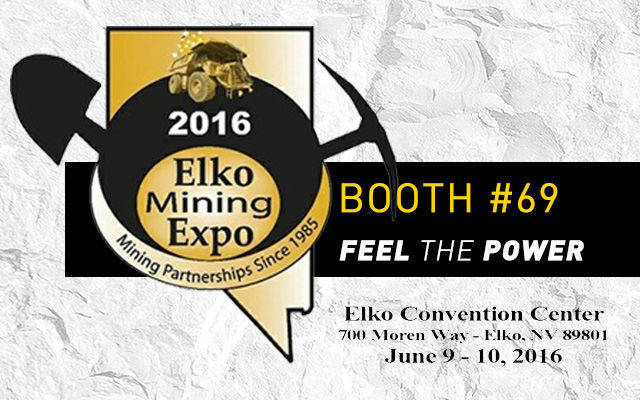 MB America, Inc. is exhibiting at the Elko Mining Expo yet again. With an expanding product line, MB has several new products for the mining industry. Since last year’s exhibition, MB has included screening attachments for skid loaders, backhoes and loaders, as well as drum cutters, to its product line. In addition, MB has magnetic separators and dust suppression kits for its crushing and screening attachments. Last year, the company displayed its BF90 crusher attachment and explained to attendees that this exact model was being used by Kinross at Round Mountain Gold for its gravity plant, which the attachment was able to increase the company’s productivity rate. MB will be an exhibitor at booth #69 in the Elko Conference Center this year. MB products are for a wide scope of work besides the mining industry. It includes demolition, excavation, road work, quarries, pipeline work and environmental reclamation projects. For information, contact the company at 855-MB-CRUSH (855- 622-7874). Federal customers can purchase MB’s products through the GSA Advantage! catalog at http://bit.ly/mbgsagov or through its contract number, GS-30F-007DA.